Following Caws Cenarth‘s Perl Wen, this week we feature their blue offering – Perl Las (meaning blue, as opposed to white, pearl). 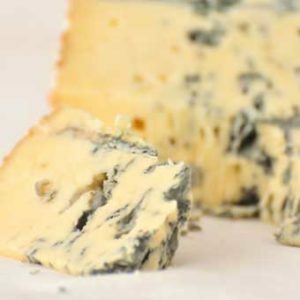 Perl Las is a semi-soft, creamy, slightly salty blue. It’s great with leeks that have retained a bit of their crunch, be it in a risotto, with gnocchi or perhaps even in a tart. 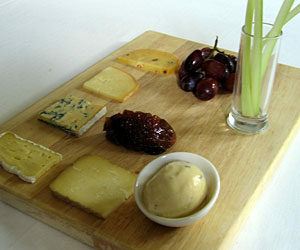 Or, for the culinary whizzes out there, you could try making Perl Las ice cream, seen here on a cheeseboard.